The world of diamonds and colored gemtones is a specialized one, and it is natural that laypeople will find it fairly mysterious. So there is a real need in the marketplace for reliable and objective information for consumers. 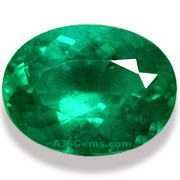 We have prepared a wealth of information for both gemstone collectors and the general public. 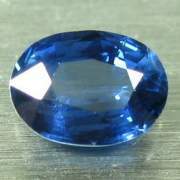 It is much easier to find reliable information about diamonds than about colored gems like ruby, sapphire and emerald. One reason is that diamond grading has been standardized by GIA (Gemological Institute of America). Most larger diamonds (over half a carat) are sold with GIA reports that certify the color, clarity and cut of the stone. By learning the color and clarity grades, consumers can easily learn to read the diamond certificates and compare the quality of different diamonds. Unfortunately the situation with colored stones is not so straightforward. 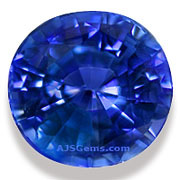 One challenge is that there are many varieties of colored gemstones -- sapphire, spinel, garnet, topaz, amethyst, tourmaline and so on -- and the grading standards vary by the type of stone. Some colored gems, such as aquamarine and tanzanite, tend to be very clean, while others, such as emerald, ruby and sapphire, usually have significant inclusions. This is why certificates from gemological labs (including GIA) do not state a clarity grade for colored stones. In the case of diamonds, the cutting standard is known as the ideal cut, but in colored gems the cutting proportions may vary to bring out the best color of the material. The most important thing in colored stones is to avoid cutting flaws such as poor symmetry, windowing and extinction. It is important that consumers have access to reliable information about colored gemstones because most of the gemstones in the market are lower grade material, referred to in the the trade as commercial grade. These gems suffer from mediocre color or clarity, and are typically poorly cut, lacking brilliance and fire. The difference between a fine gem and a commerical-grade stone is significant, and obvious to any buyer who has spent some time looking at gemstones. But sometimes these inferior stones are fraudulently marketed as fine gems, so the consumer must beware. 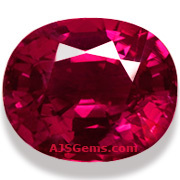 When comparing the price of gems, it is crucial to take quality factors into account. In the world of diamonds, standardized grading makes this easier. In colored stones, you have to pay close attention to differences in color saturation, clarity and cutting. Price per carat is usually a good guide to quality when buying from reputable dealers. It takes some experience to develop a practiced eye in looking at gems, but learning what to look for is a good place to start. We offer a full range of free educational materials on our website, from introductory tutorials to articles on treatments to our popular monthly newsletter.